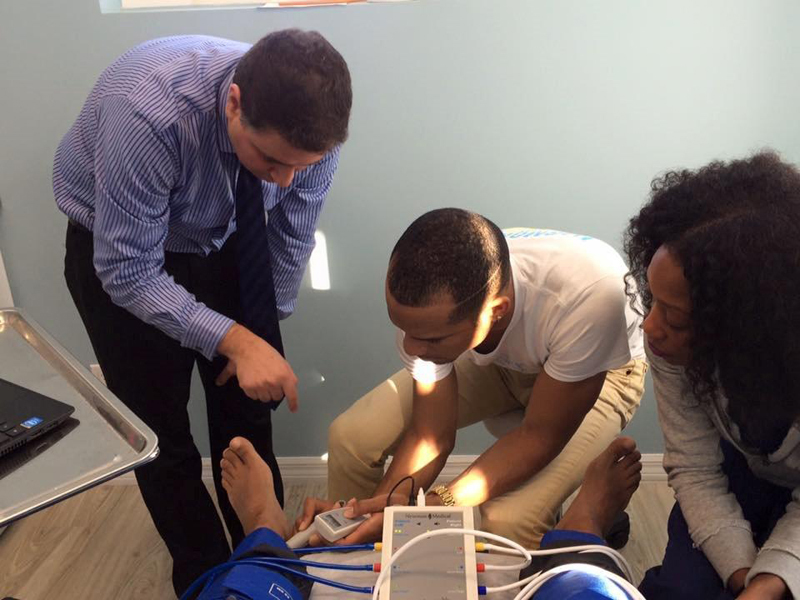 During his monthly visit to the island, Dr. Ofer Sagiv, MD FACC, Yale Faculty Affiliate, conducted training on how to perform the Ankle Brachial Index Exam with the NMAC team. 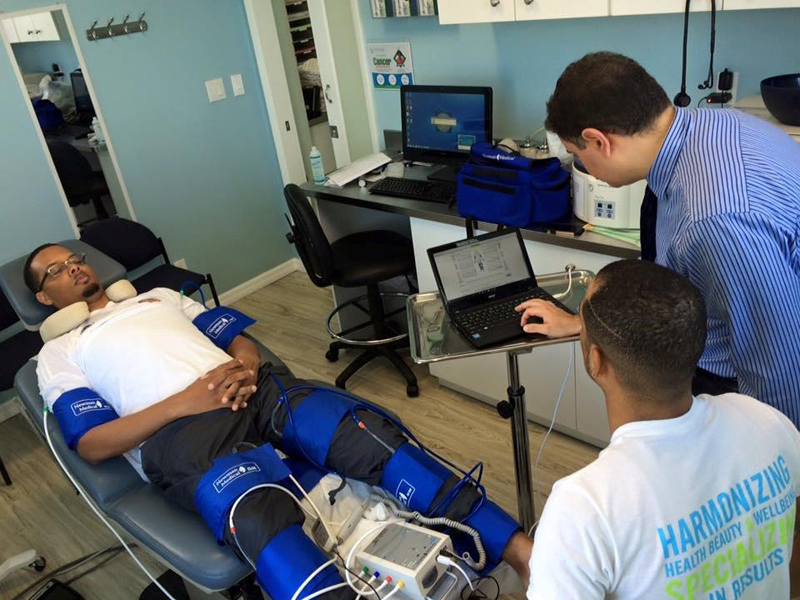 “Ankle Brachial Index commonly referred to as ABI test, measures the patient blood pressure at different points down the legs and compare’s this with blood pressure in their arm. It is a relatively simply exam, which is harmless and uses no form of radiation,” NMAC explained. “The ABI study is an excellent screening and diagnostic tool for the evaluation of Peripheral Artery Disease [PAD]. PAD is a narrowing or complete blockage of the blood vessels down the legs. “The most common symptom of PAD is leg pain. In addition one can feel muscle cramping in the hips, thighs or calves when doing simply things like walking, exercising and climbing stairs. S”imply when you do any sort of movement, the muscles to the legs would require increase blood supply, however if there is a narrowing or a blockage; the muscles are simply not going to receive the amount of blood they need. Dr. Kyjuan Brown, NMAC Medical Director said, “The ABI is an appropriate screening tool for anyone over the age of 50 who has a history of smoking or is a diabetic.